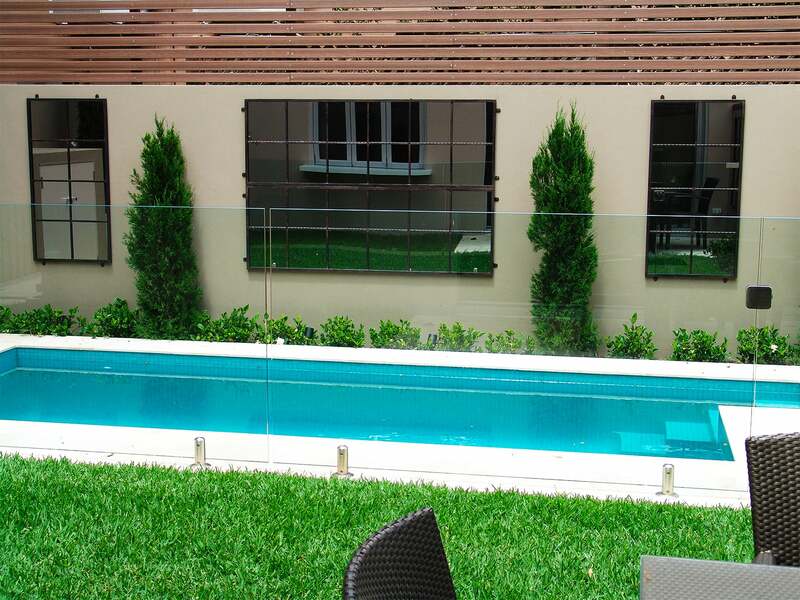 The geometric design on these iron mirrors is perfect when you want simple reflections as a key feature in the garden design. 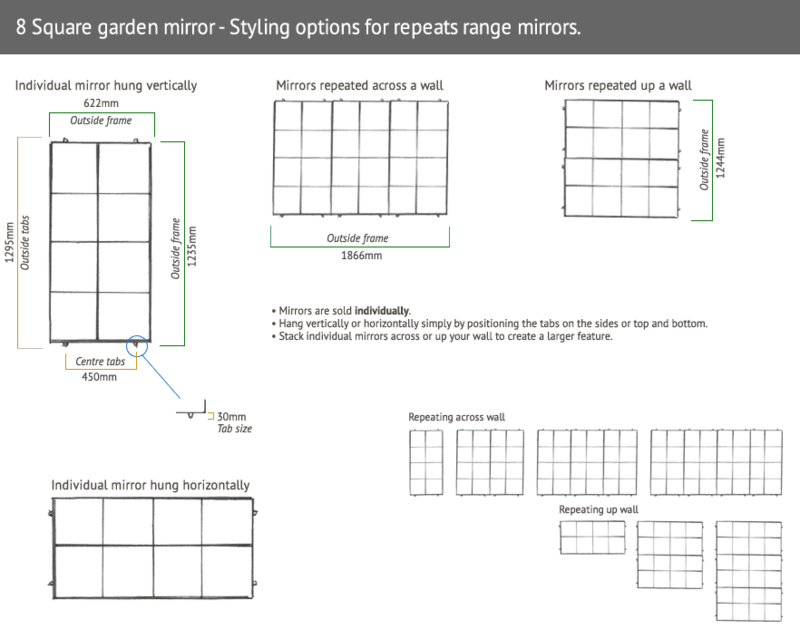 The squares style mirrors are available in two sizes allowing you to use them on small or large walls. This mirror is part of the repeats range. To find out more click here. 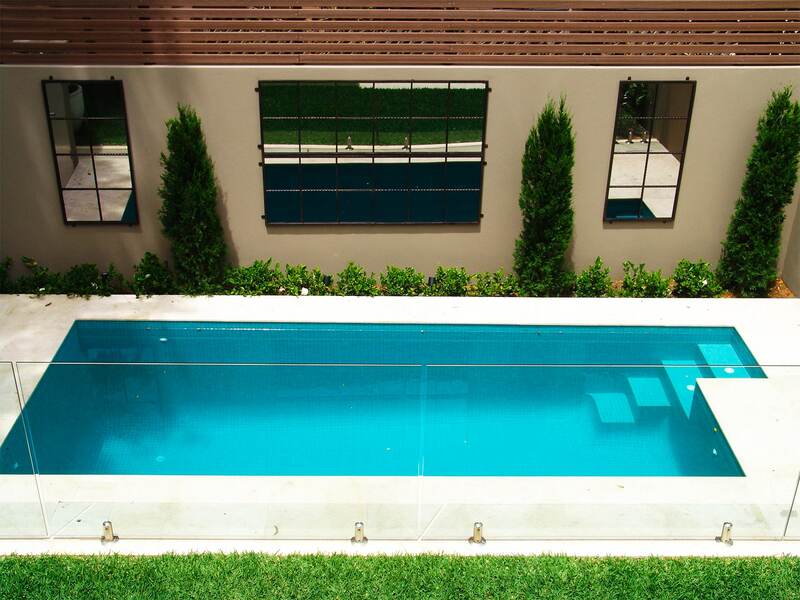 When you create a gorgeous outdoor living space, it works best when there's a defined style. Getting all the elements in that space to look as though they belong, is one of the challenges. 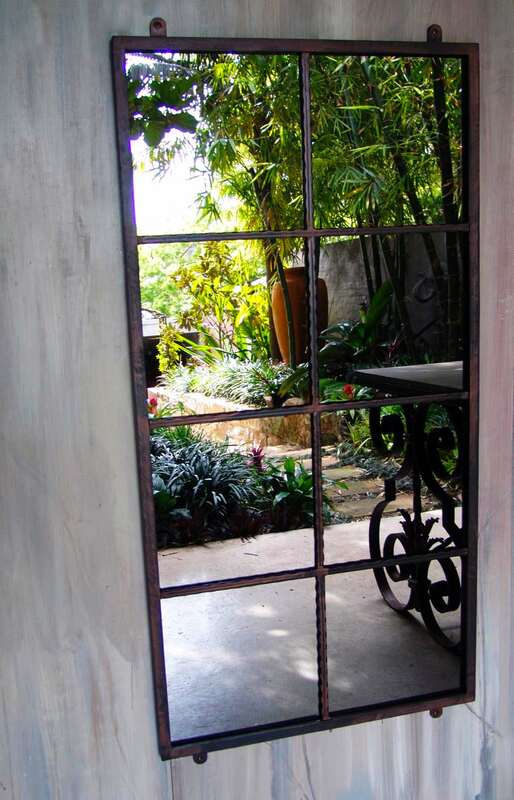 The design of this architectural style outdoor mirror is based on a simple squared window. 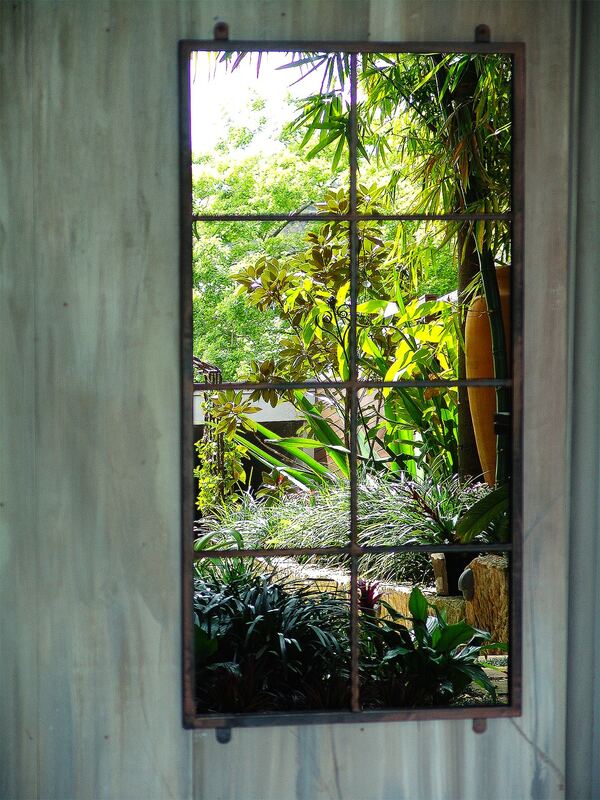 Simple decorative elements in garden design allow plants to take center stage. These mirrors will sit happily in the background creating a magic effect without taking over. 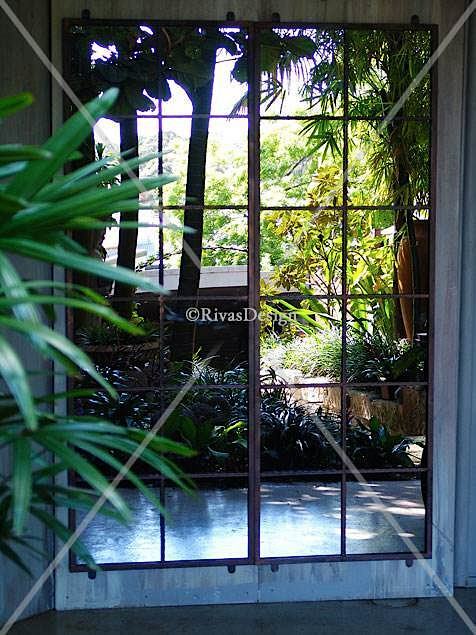 Ideal nestled in behind all the plants, hidden on sidewalls or in courtyard settings. 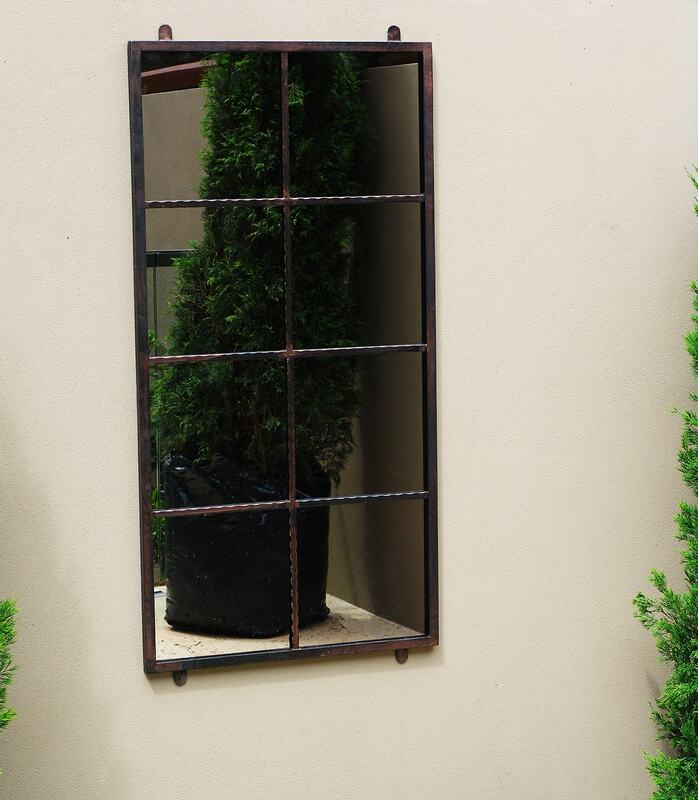 These galvanised mirrors are available finished in black or black brushed with copper. View the large version of this garden mirror.